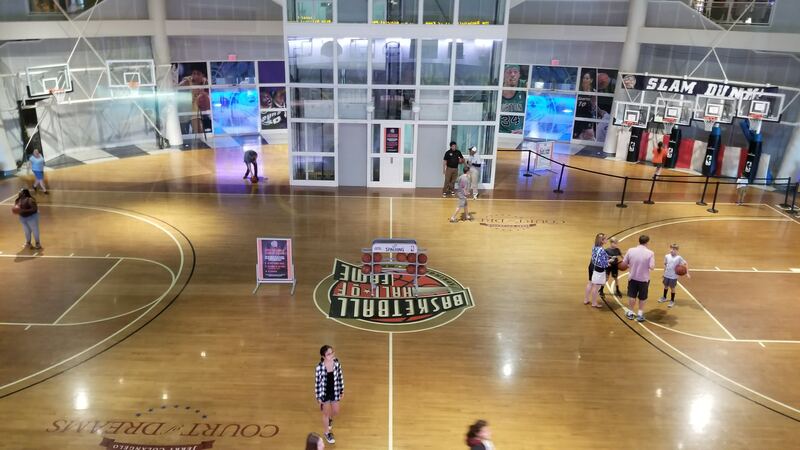 The Naismith Memorial Basketball Hall of Fame in Springfield, Mass is a great place to learn the history of the game, and all the players that turned it into the game it is today. 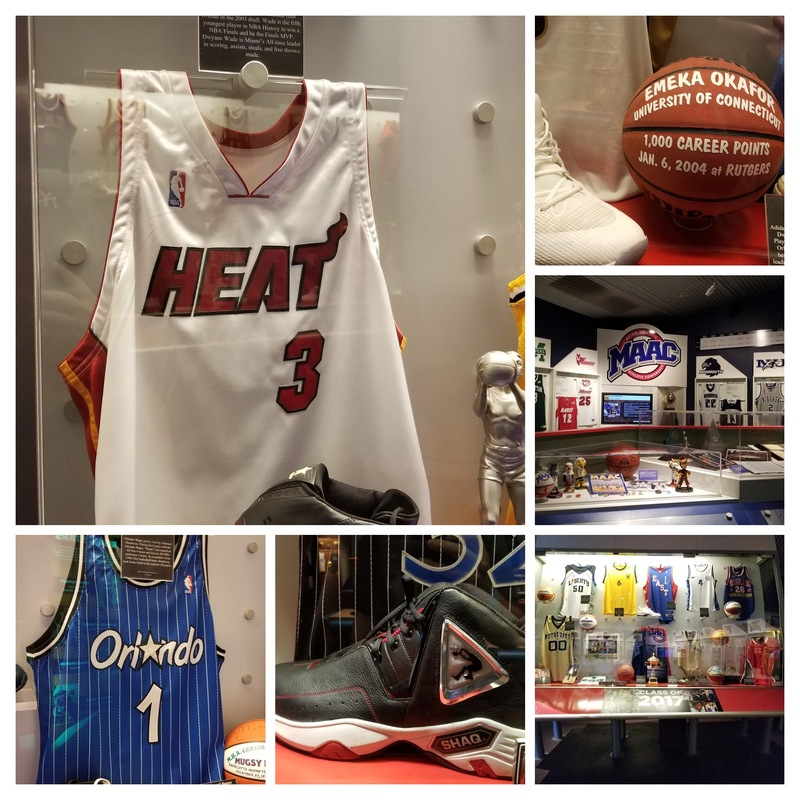 Third Floor: Take a lap around as you follow the history of the game from the beginning until today, as the ceiling has the pictures of all the Hall of Famers, and there is an assortment of memorabilia, from rings to basketballs, and keys to the city. Second Floor: Jerseys, sneakers, basketballs, and trophies. From every team and every era. Sections on the NBA and MAAC, and areas devoted to The Media and Coaches. This also starts the parts that are great for kids. Import yourself into NBA Jam, practice your jumps and see how high you can grab a rebound…see if you can palm a basketball or just shoot arcade-style hoops. And the really cool part? Try your hand at being a member of the media. Sit behind the “Sports desk” and give the highlights from the game, or slide into the radio booth and give your own take on some of the most famous calls in basketball history. First Floor: Center Court, a rack of basketballs and an open court to shoot around on. Along one wall are all the different styles of hoops thru the years, so you can try your luck on the old-fashioned literal basket. There’s also a row of hoops, at different heights, to see how high you are able to dunk.